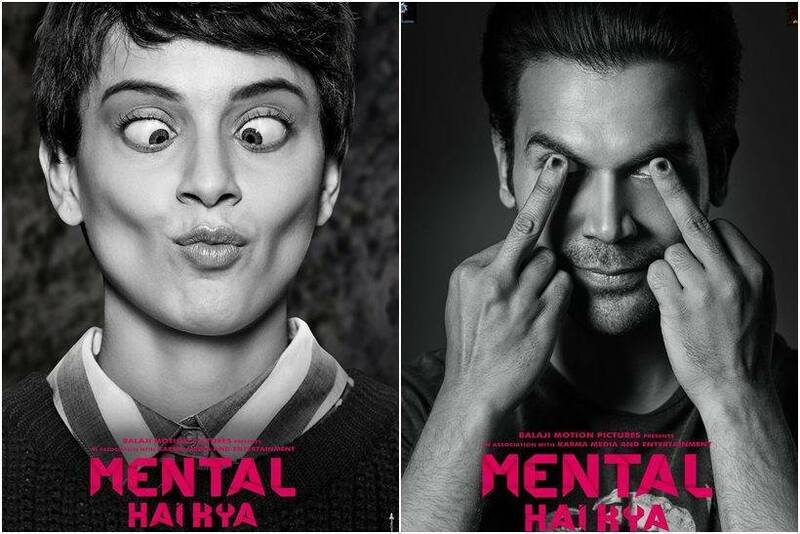 Bollywood's powerhouses of talent Kangana Ranaut and Rajkummar Rao have joined hands for the quirky comedy Mental Hai Kya. The title of the film only gives out a lot about the characters played by Rajkummar and Kangana. In the first look poster, a short-haired Kangana was seen rolling her eyes and pursing her lips for a duck face and Rajkummar Rao was the one who was flipping us the bird. Sharing the posters, Balaji Motion Pictures wrote, "It's time to bring out the crazy in you..Because Sanity is overrated! 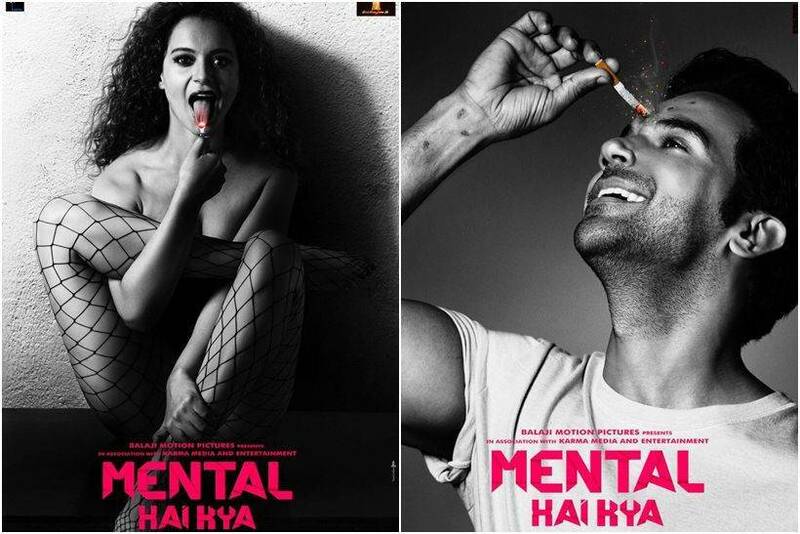 Here's presenting the first look of #MentalHaiKya starring #KanganaRanaut and @RajkummarRao." With the second look posters, Kangana and Rajkummar seemed to have gone a notch higher in terms of insanity as they trespassed a crime scene. While Kangana was seen lying at a crime scene within a chalked outline, Rajkummar had his one eye closed and his face taped with crime scene tape in the background. Next, we witnessed Kangana and Rajkummar having mental explosions. With a backdrop of a newspaper, both the lead actors screamed their lungs out while covering their ears. With the fourth look posters, the makers announced the film going on floors. 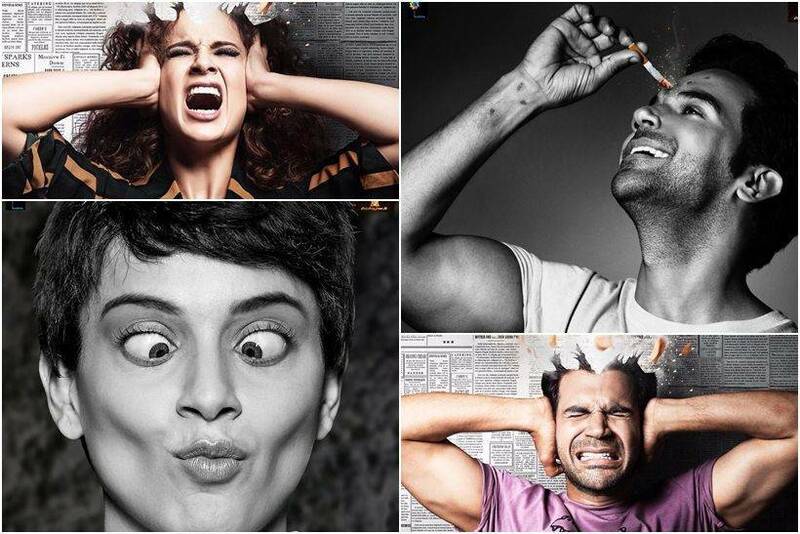 The last and the final set of posters made us believe that "crazy is the new normal" for Kangana Ranaut and Rajkummar Rao. Here we saw them getting bolder and sanity seemed literally overrated for them. "Beware! They will set the world on fire! Presenting #MentalHaiKyaLook5," read the caption of the posters.